All reservations must be guarantee with a major credit card at time of booking. Reservations must be cancelled by 6pm host time prior to arrival to avoid a cancellation penalty. Policy is subject to change. Reservations must be cancelled by 6 pm host time prior to arrival to avoid a cancellation penalty. See rate rules prior to booking to avoid a no show billing minimum of one nights room and tax. 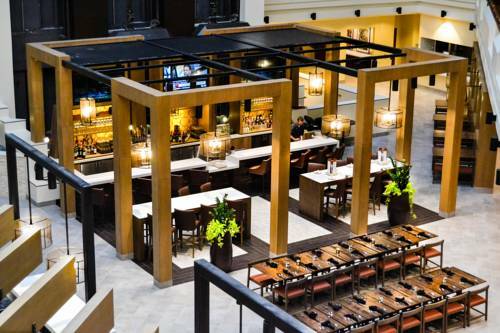 *SOCO Bar Bites offers Southwestern cuisine in our newly remodeled Atrium. If you want to eat in the comfort of your suite simply call in your order and your food will be packaged at the Bar for pick up. Very casual atmosphere. Burgers sandwiches and plated meals. Extensive selection of imported beer. Sand volleyball courts in parking lot.